This package includes Hardcover and Sapling Learning with E-book. This package includes Loose-Leaf and Sapling Learning. This package includes Hardcover and Paperback and Sapling Learning. This package includes Loose-Leaf and Paperback and Sapling Learning. 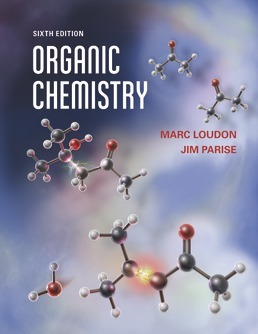 Through clear writing, a high standard of accuracy, and over 1,800 problems, Organic Chemistry focuses on content tied to modern medical practice and modern synthetic organic chemistry. 18. The Chemistry of Aryl Halides, Vinylic Halides, and Phenols. Transition-Metal Catalysis. 19. The Chemistry of Aldehydes and Ketones. Carbonyl-Addition Reactions. 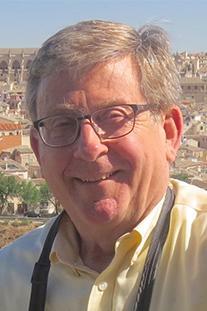 Marc Loudon is the Cwalina Distinguished Professor of Medicinal Chemistry at Purdue University. His teaching awards include the Clark Teaching Prize (at Cornell), Purdue’s School of Pharmacy's Henry Heine Outstanding Teacher Award (1980 and 1985), the Class of 1922 Helping Students Learn Award, the Charles B. Murphy Award, membership in the Teaching Academy of Purdue and listing in Purdue’s permanent “Book of Great Teachers”, and designation as the Carnegie Foundation “Indiana Professor of the Year”. Most recently, Dr. Loudon has been involved in chemistry curriculum re-design for life-science majors and pre-health profession students with the NEXUS program of the Howard Hughes Medical Institute. James Parise is a Teaching Professor in the Department of Chemistry and Biochemistry at the University of Notre Dame, where he lectures organic chemistry. 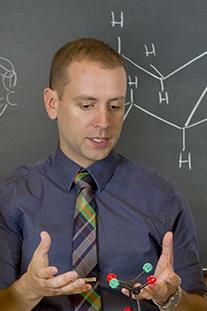 Previously, he taught and coordinated organic chemistry laboratories at Duke University. Dr. Parise’s research interests include development of more effective teaching methods for large lecture courses and improving organic chemistry pedagogy in both the classroom and laboratory. He administers an instructor-training program in organic chemistry and is currently developing auxiliary courses aimed at supplementing student preparation for introductory organic courses.